39,036 others viewed this post. 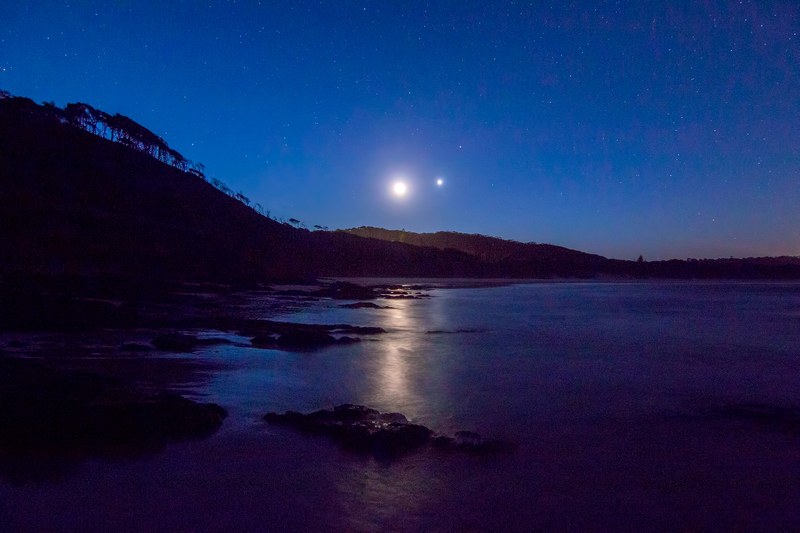 As a bonus, here is tonight’s Moon / Venus / Mars conjunction as seen from Broken Head this evening. I had to get my feet wet for this one!